To supplement the energy requirements of the new Rochdale Interchange, TfGM developed the Hydro Electric Power (HEP) scheme. This site became Europe’s first public transport interchange to be powered by hydropower and makes the investment highly innovative. The hydroelectric turbine converts energy from the river as it flows rapidly through a weir. 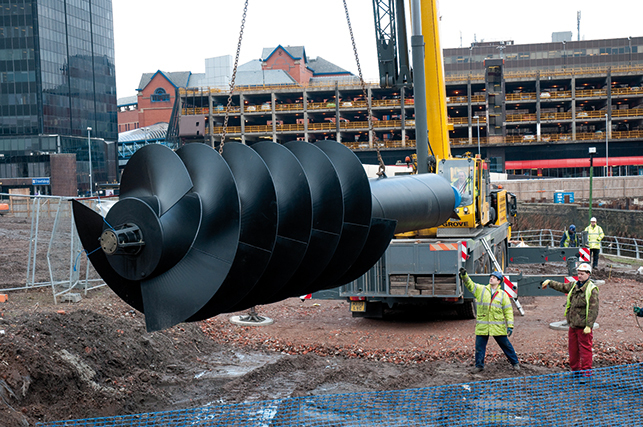 The turbine is driven by an ‘Archimedean screw’, driven by the weight of the water to generate electricity. The hydroelectric turbine is predicted to produce up to 86,000 kWh of electricity every year, which will help to reduce the interchange’s carbon footprint by over a quarter. 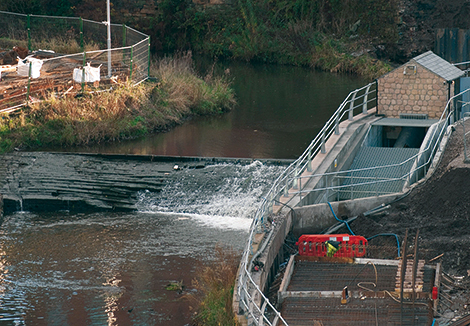 To address broader biodiversity concerns, a fish pass has been incorporated into the design. This allows the fish to travel down the screw without being harmed.